Specially formulated for vehicles with 75,000+ miles. 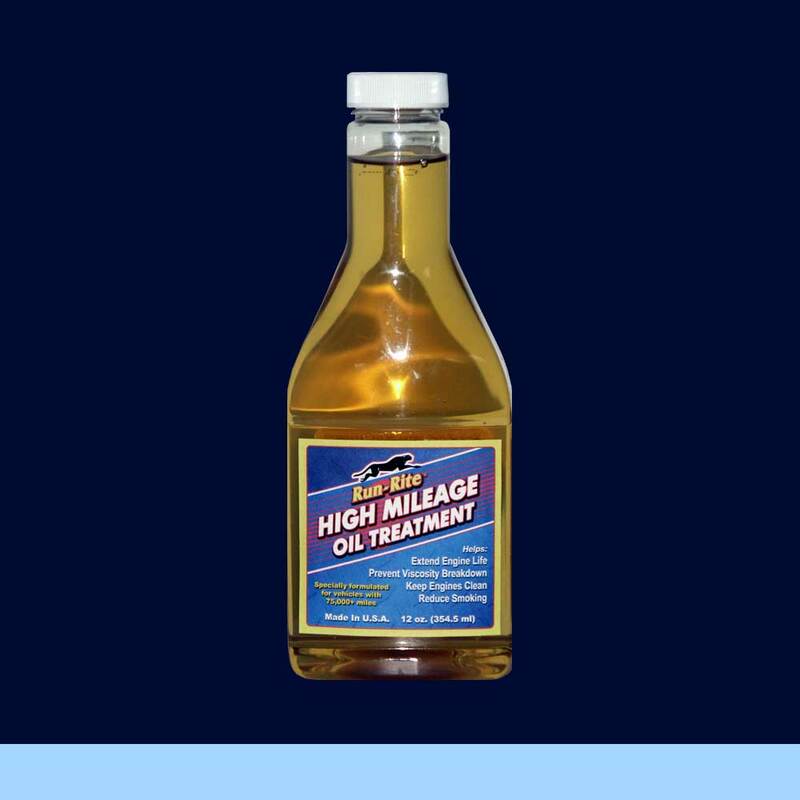 Run-Rite High Mileage Oil Treatment (HMOT) is an advanced, concentrated formula designed to extend the life of engines with 75,000 miles or more. It can help reduce smoke, prevent viscosity breakdown, and much more. HMOT contains anti-wear agents, acid neutralizers, corrosion inhibitors and viscosity improvers and its premium dispersants help keep engines clean. HMOT reduces friction and wear. It maintains lubrication under high stress conditions. Usage Guide: Add one bottle of HMOT to the engine crankcase during the refill portion of an oil change. Do not overfill.